You are currently browsing articles tagged Col. Charles Waterhouse. This first biography on Col. John W. Ripley contains the full House Armed Services Committee testimony he gave against allowing homosexuals in the military. Listening to the liberal media, it’s easy to think that all America’s generals and admirals want to torpedo the ban on open homosexuals serving in the military. At times, there is a revolving door on the Pentagon’s closet, with some of the brass putting fingers in the air to test which way the winds are blowing. The extraordinary open letter by so many respected military leaders, which has been shepherded by the Center for Military Readiness, isn’t surprising to most Americans, who know those serving in uniform are among the most forthright in America, a few media darlings aside. However, in our morally confused age, officers who defend traditional values tend to be the ones kept in the Pentagon closet rather than those with less normal views. Despite this political pressure, most warriors espouse a very conservative ideology. One of them speaks to us from the grave. The late Col. John W. Ripley is a Marine Corps legend for his many heroic stands in combat, in congressional hearings and in life. 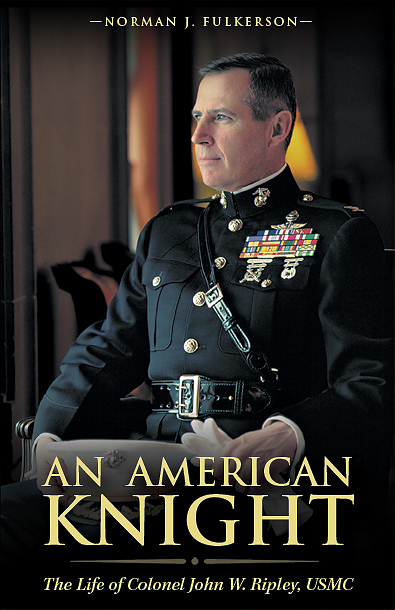 In “An American Knight,” first-time author Norman J. Fulkerson does a masterful job recounting not only what this great man did, but why he did it and how he became who he was. In short, with a few exceptions aside, great men aren’t born – they are formed. John Ripley benefited from the example of a strict family upbringing and the influence of an ascendant American culture that was unabashed in its encouragement of the eternal verities of God, family and country. In the Ripley household, religion wasn’t only for women and wimps, and the whole family knelt to pray the Rosary together every day. 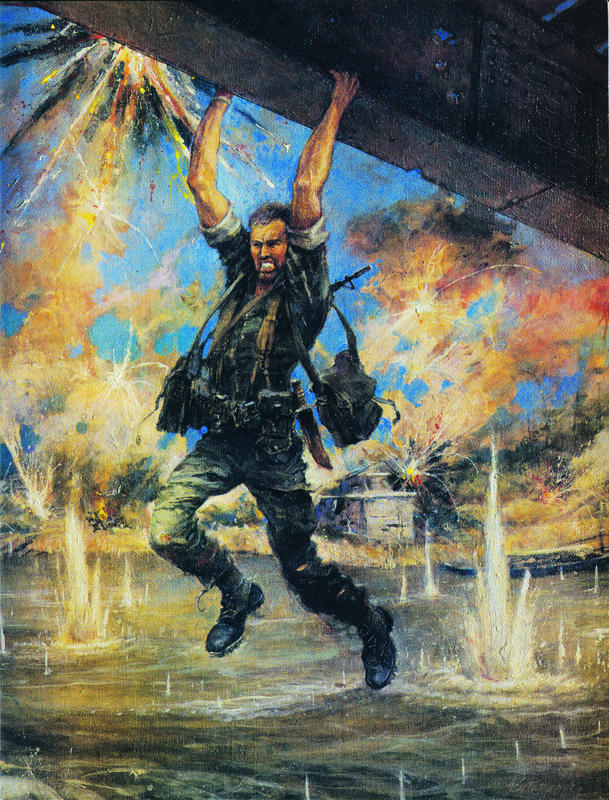 Painting by Col. Charles Waterhouse of John Ripley dangling above Cua Viet River as Angry North Vietnamese soldiers fire upon him. It was this faith that would fortify the tough Marine during his toughest trials. His most celebrated feat was on Easter Sunday 1972 in Vietnam, where he singlehandedly blew up the Dong Ha bridge to halt a communist advance along the main transportation artery into South Vietnam. For more than three hours, he climbed the superstructure of the bridge, swinging from steel girders like monkey bars to place explosives and detonators under the main supports. He scaled the bridge over a dozen times, taking heavy fire the whole time, to accomplish the mission and thwart the enemy. 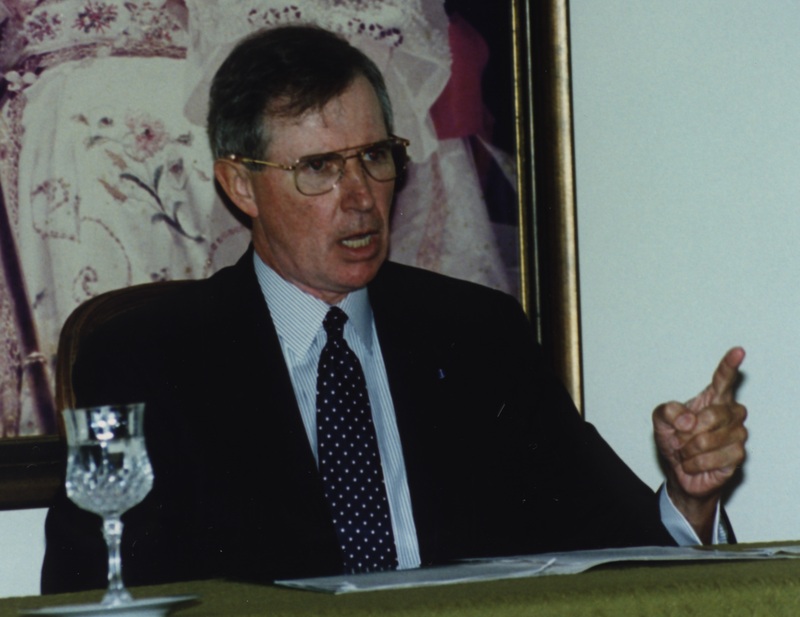 1993 photo of Col. John Ripley. The same year of his heroic testimony against allowing homosexuals in the Military. 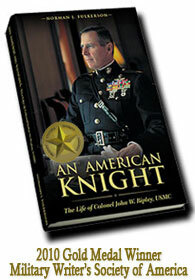 Mr. Fulkerson explains that, “While Americans appreciate the warrior spirit of someone like him, we admire much more a person who is not afraid to tell the truth.” That’s why “An American Knight” is not only an interesting book for military buffs but offers inspiring reading for anyone looking for noble examples amidst modern amorality. On the night of Oct. 28, 2008, this Marine met his maker. But while Col. Ripley is dead, his legend lives on. If you listen closely to the din of contemporary political-military debates, the voice of Ripley echoes. Brett M. Decker is editorial page editor of The Washington Times.